Believe it or not, I don’t read that many blogs; I don’t have the time usually. But when I do, there are some that I go to straight away without hesitation or delay. You’ll likely already know my favourite male beauty, grooming and skin care bloggers, but out of the thousands, trillions and gazillions of female beauty bloggers, there’s only a small handful that I’m hooked on; the crème de la crème of the blogging world. These three, the longest standing, highest ranking blogging royalty, have all recently made the jump from writing to retail with 3 fabulous product launches and with Christmas around the corner, they’re well worth a look. I’m honoured to know and work with British Beauty Blogger, Jane Cunningham. She’s a great source of inspiration and an undeniable leader of the blogging and beauty world. 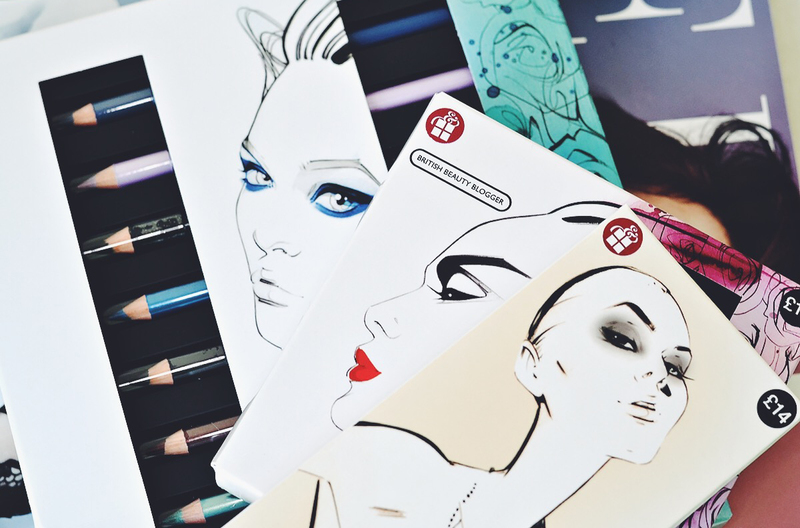 Jane has teamed up with M&S to launch 5 gorgeous makeup sets including: Eye & Blush Pallet; Mini Nail Polish Collection; Eye Pencil Kit; Lip Trio Set and Bronzing Gift Set. Each set is priced at either £14 or £15 and is available on 3 for 2 with free delivery here from Marks & Spencer. This blogger knows beauty and knows her business; I’d say London Beauty Queen, Hayley Carr, is the queen of social media and wildly business savvy. Her book The Science Bit has 4.5/5 starts on Amazon and is well worth the read. 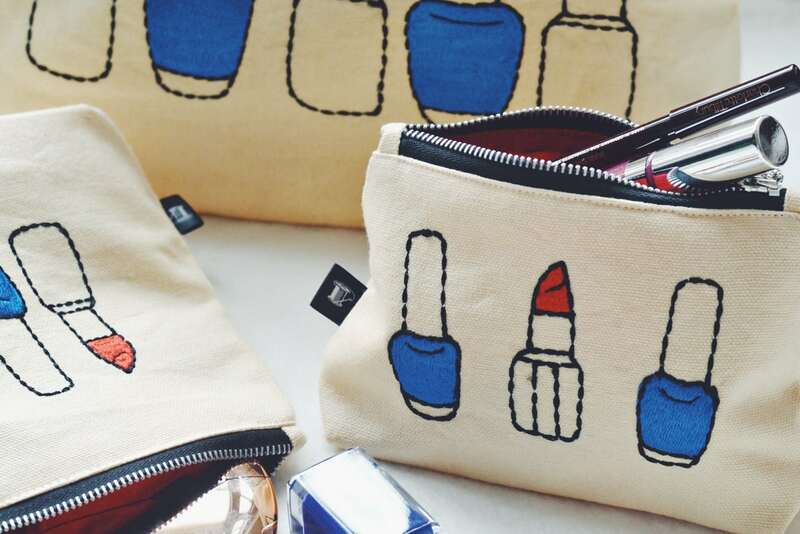 Hayley has launched a range of absolutely gorgeous makeup cosmetic bags in partnership with Sew Lomax. The bags range from £12 – £28 and feature a fabulous lipstick design on the front with the London Beauty Queen logo on the reverse, all on natural coloured canvas with a red nylon lining. The effervescent Rush Crilly, blogger and international model, has launched a range of deliciously scented Dry Shampoos under the brand CoLab. Each is scented based on Ruth’s travels working around the world to 5 famous cities: London (bergamot, musk and vanilla); Paris (jasmine, rose and patchouli); Rio (papaya, pineapple and cassis); Tokyo (orchid and mandarin with a base of sandalwood) and finally New York (apple, melon and light musk). Ruth’s CoLab Dry Shampoos are available at a fabulous price of £2 for 50ml/ £3.50 for 200ml and are available here at Superdrug. This article first appeared on MANFACE written by Thom Watson. It was published on Sunday 12th October 2014 and was last updated on Monday 3rd April 2017 at 1:51pm. It's categorised under Editorials where you'll find more related content. Great post Thom. I love these bloggers too but must have missed all these launches from them!? Will definitely be making demands this Christmas. Anything in the Manface works?